This trip is coordinated and sponsored by Cinnamon Hotels and SriLankan Airlines (UL) is providing the air transportation so we can start our Sri Lankan experience on the right foot. This trip would be a trifecta for me; new airline, new country and a new airport. In airline geekdom, this does not happen very often, but today it is. 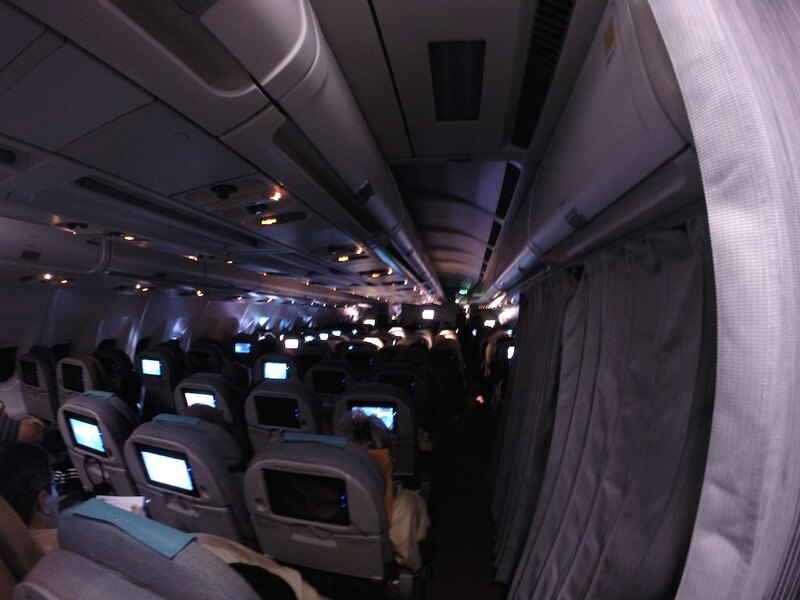 SriLankan is based in Colombo, Sri Lanka and flies to destinations in Europe and Asia. They are a oneworld Alliance partner (May 2014), so if you are in the U.S. and want to head to Sri Lanka on Sri Lankan, you can accrue miles on AA/US domestically for your trip and of course you can redeem miles on their routings. In addition, you can take airberlin (AB), American Airlines (AA), British Airways (BA), Cathay Pacific (CX), Finnair (AY) and Qatar (QR) to SriLankan’s various gateways around the world. 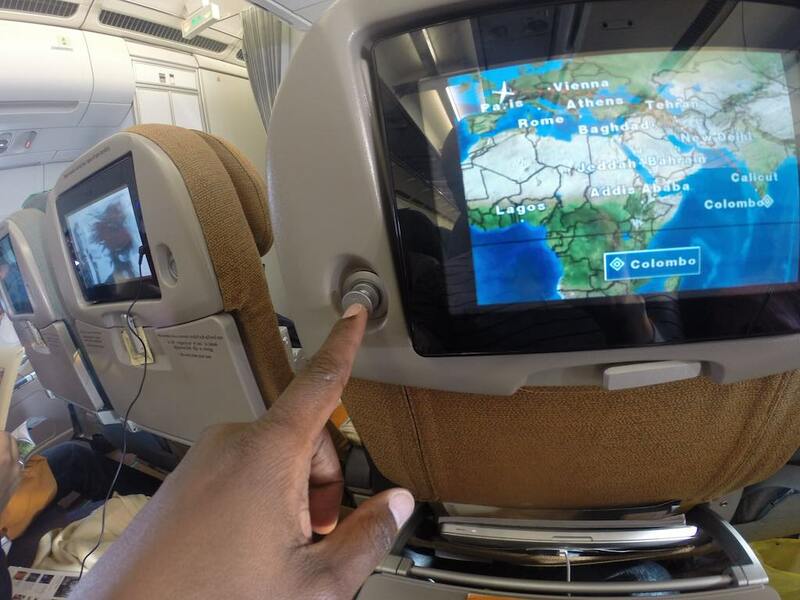 This way you keep your mileage earnings on the oneworld Alliance. There are no domestic Sri Lanka flights operated by SriLankan, instead, they do codeshare with CinnamonAir which flies amphibian airplanes around the country. 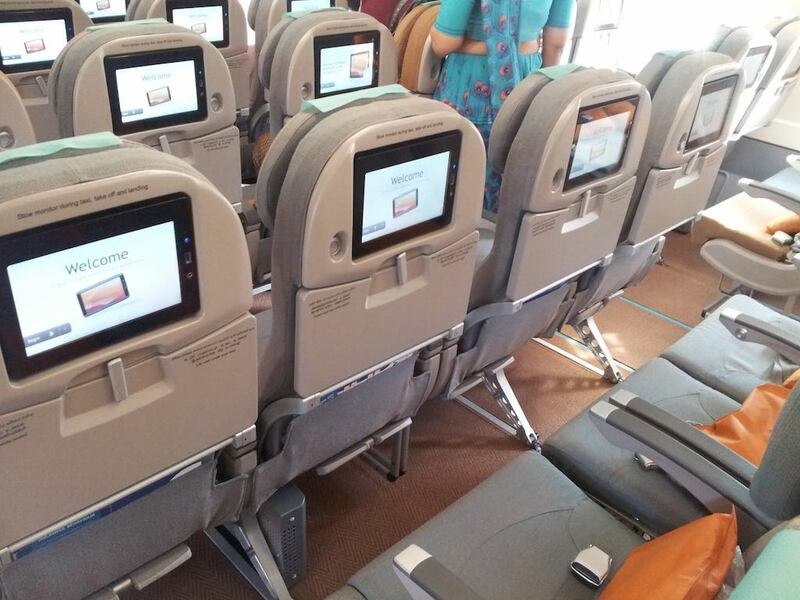 Sri Lankan is in the process of acquiring new Airbus A330-300 with new interiors as well as new AVOD systems. They currently have one aircraft with another on the way later this month (December 2014) and five coming in 2015. You’d be glad to know that the Airbus A350-900s are coming in 2016 as they have 8 on order. 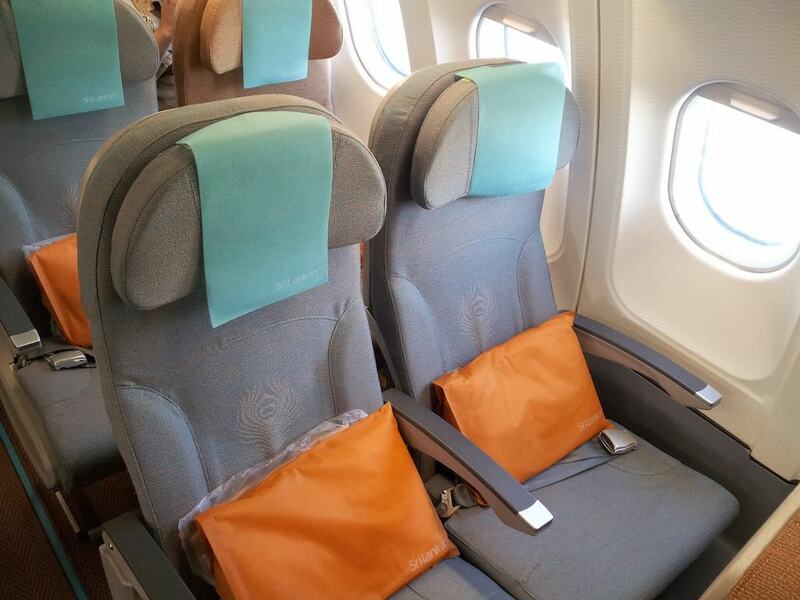 Sri Lankan has two cabins of service, Business Class and Economy Class. As such, Sri Lankan has a program where you can bid for an upgrade. I did get the email, made my bid but was unsuccessful; perhaps as I only bid the bare minimum of $400; they use a sliding scale. The process is really a good one though and well though out. I was given the opportunity, did so on their Website, got a confirmation email and then if I wanted to I could change the bid within a certain timeframe and then 24 hours out, I got my acceptance or rejection. So enough of all this rambling, let’s talk about my SriLankan experience. 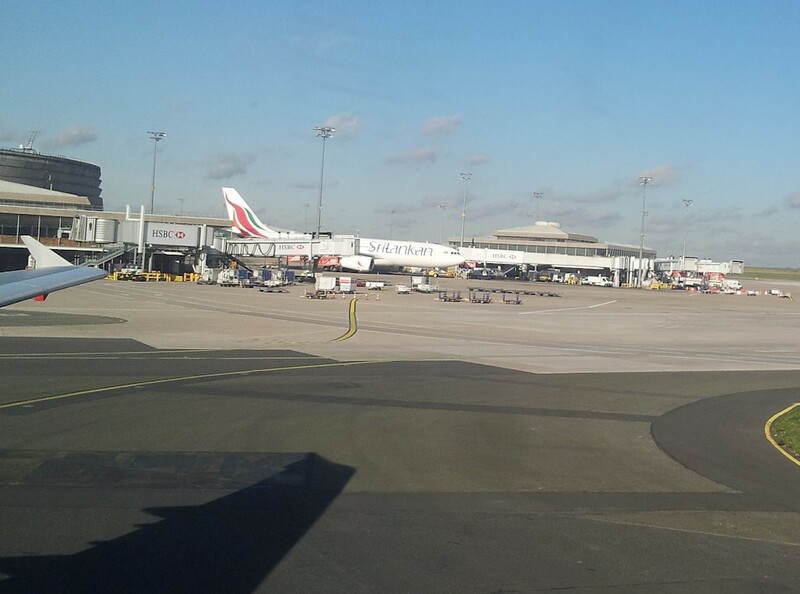 As I landed in Paris-Charles de Gaulle, France (CDG) on a British Airways (BA) Airbus A320 (320) from London-Heathrow, England (LHR) and taxied by Terminal 1, I noticed my next ride; an Airbus A330-300 (333) in the SriLankan (UL) livery. 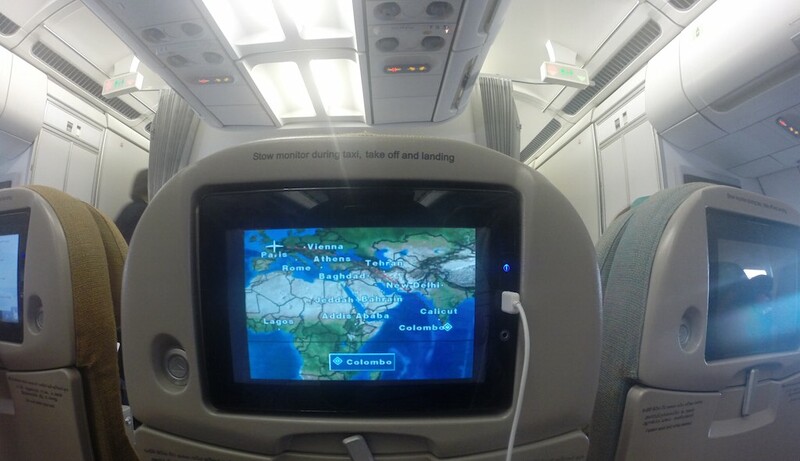 This would be my first time flying on SriLankan, so I was super psyched. Even more so as its one of their newest planes, I would later find out. 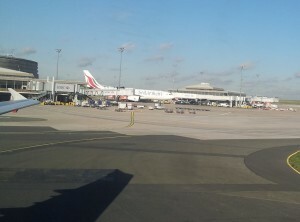 We taxied forever and eventually made it over to Terminal 2 and got a hardstand. Most travelers hate a hardstand, but I love it as I get a chance to see the planes a little more closer than usual. Plus I love walking down the stairs and onto the tarmac. Eventually, we made it to the Immigration Hall, I was the only one doing a connecting in Paris as everyone else headed for Baggage Claim. It took forever and a day to make it through security and long hallways and queues then on a bus and finally I made it to Terminal 1. I just did not want to change Terminals by entering the country as its even more pain to do so. Through all this, I realized that I was not checked in. I had downloaded the SriLankan App on my phone, but it wanted me to sign in with a frequent flyer number which I did not have (I’m American Airlines (AA) Platinum), so I gave up on the App. Being familiar with this airport, I headed to the Lounge area in Terminal 1 with another passenger in tow who had overheard me telling the security guard that I was going to Sri Lanka. He’s a frequent visitor to the country and had even stayed at the Cinnamon Red and was telling me how much he loved it. Using the complimentary WiFi from the airport, I checked in on SriLankan.com. It was painful as I had to enter my passport details which is always necessary, but annoying. International check-in are never fun online as they ask for so much information. Yeah, now I’m checked in without a printed boarding pass or electronic one since the web site check-in does not deliver one. With airlines unless you use their App you don’t have a boarding pass to show on your phone; grr… Sometimes, I really hate technology. Once that was done, I was granted access with the agent making one more phone call to ensure that I was eligible to use the Lounge. I decided to head over to the gate to tell the other guy that I found the Lounge. When I got there he said he would not come back with me, so I returned by myself. 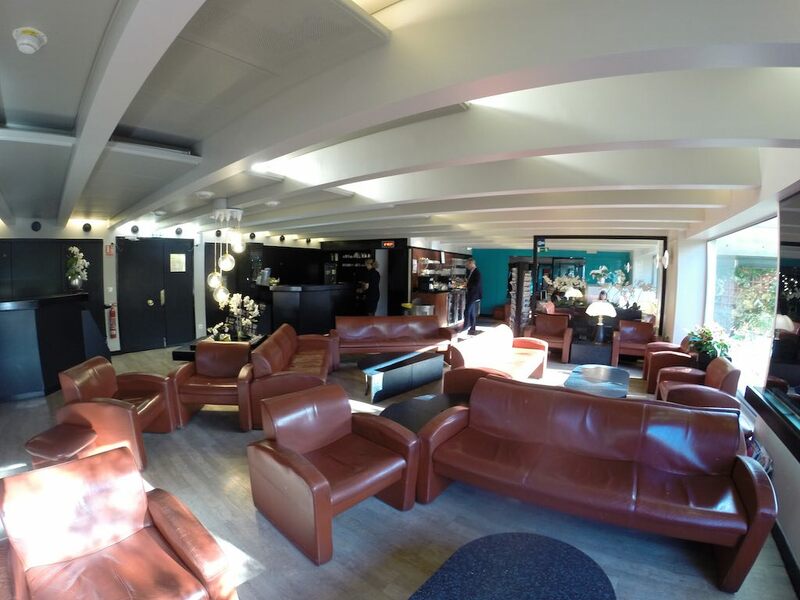 I enjoyed the Lounge for a bit checking emails and having a bite to eat and a drink before leaving for the gate. At the gate, I was asked for a boarding pass and I told the guy I don’t have one and that I’d get it from the agent; he then let me by. Once inside, I saw my friends who were also taking this trip with me and greeted them and chatted for a bit until the agents returned to the desk. I gave the agent my confirmation number and told her about the name issue, but still she said she can’t find me in the system; well yes its ‘cause you are using my correct name; next time listen to your customer. These are not SriLankan employees, they are handling agents. Eventually, I did get a boarding pass, but no name change. Boarding was not so good as it is a very small area and over 200 people. I’ve flown other airlines from this terminal and its always the same issue. Of course no one listens for their row numbers or category in order to board. I had to make my way to the front and show my Elite card in order to get on board before the main crowd. One of my friends actually got turned back as it was not his turn; but in his defense, you could not hear what rows were being called as it was very unclear. As I made it to the airplane door, finally I get some Sri Lankan hospitality. There were two flight attendants who greeted me with Ayboyan and putting their hands together in a prayer fashion just below their chins. That meant welcome on board. I showed them my boarding pass and they ushered me to stay on the right hand side of the plane heading back and that I had a window seat. I was chit chatting with my friend and when I returned to my seat the aisle was already taken by a lady who looked uneasy; not a good sign. I said hello and excuse me and attempted to sit down. As I did so, this French gentleman asked me if I could move from my window seat to his seat so that he could sit with his wife. I asked him what he had to trade and he indicated a middle seat, so I said no and sat down. But then it bothered me and so I gave in and gave him my window seat. For the record, I’m not happy about this. People, choose your seats seat early. You really should not ask your fellow passenger to be unhappy so that you can be happy. It really does not work that way. I’m sorry, but that’s the world and its just unfair for you to do that. Anyway, I went to my middle seat and the lady at the aisle refused to get up and let me in. The flight attendant had to come over and tell her to move. Really? The Captain then came on the PA and announced that the flying time would be 10:20 today. Nice and long in a middle seat; yay. Oh, I did notice that I had a place to hang my jacket on the seatback in front of me. I had a jacket, but it was already tucked away in my bag, so I did not bother using it. 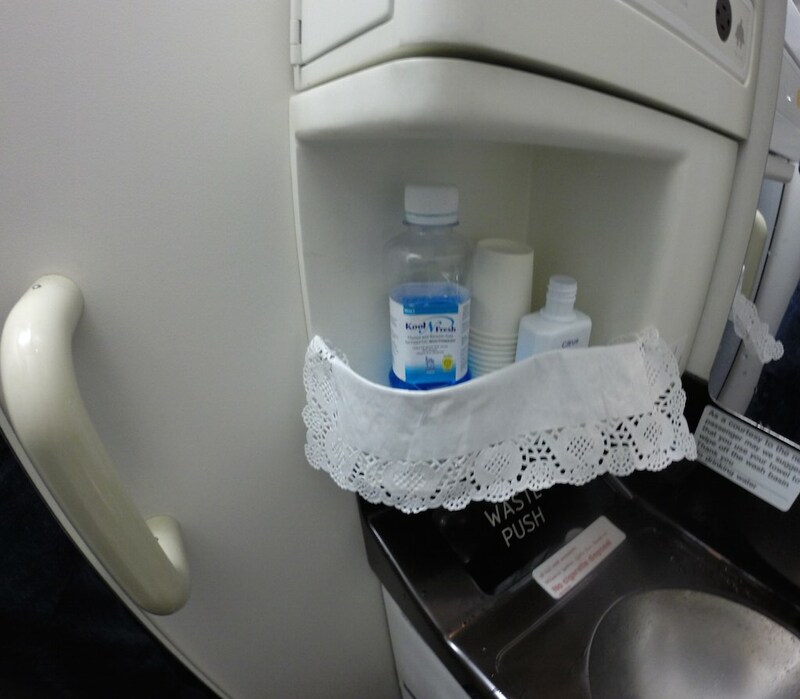 Just before pushback, we received a packet towelette so we can be refreshed. It was 2:28p (departure time is 2:20p) when we pushed back, started the safety demo and taxied out to the runway. During the demo, I noticed that when they showed the airplane’s emergency exits, they used an A340 instead of the A330 that we were flying; oops… Sorry airline geek here. It took us a little while to get out there and off the runway, but it was a very steep takeoff. Pity I did not have my window seat to enjoy it :-). So this is all you get to see. After takeoff and once we were at cruise, the flight attendants handed out headsets, then a menu followed by landing cards for those staying in Sri Lanka. 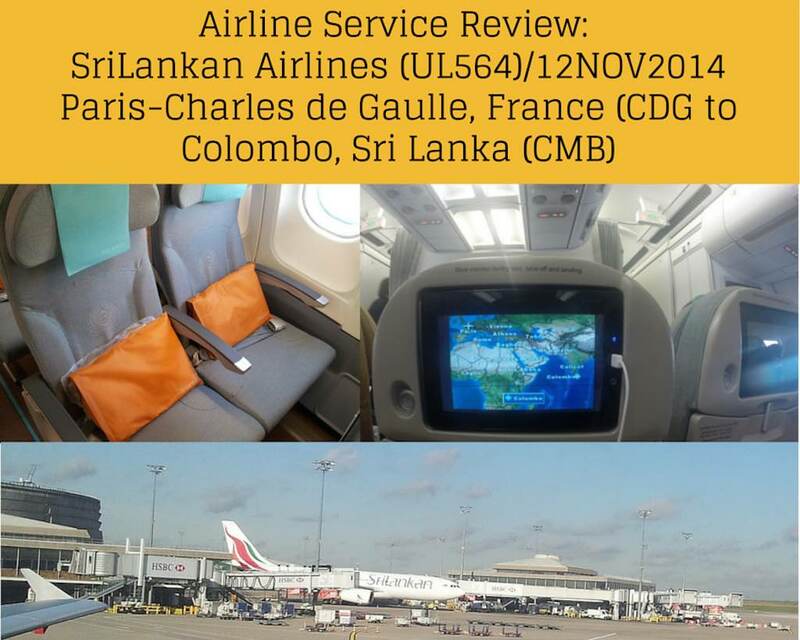 The menu is combination of the flight pair of Paris to Colombo and return. Today, I could look forward to a coleslaw salad, and a choice of Roast chicken with vegetable paella, mixed vegetables and yellow rice or Braised beef in stew sauce with Broccoli Florets & Pearl Carrots with Potatoes down “Schupf Noodle” or chickpea & Spinach Masala plus tempered potato with braised rice. Dessert would be caramel and raisin cake. This would be followed by Freshly brewed Ceylon Tea & Coffee. Ceylon Tea is pretty major in Sri Lanka. 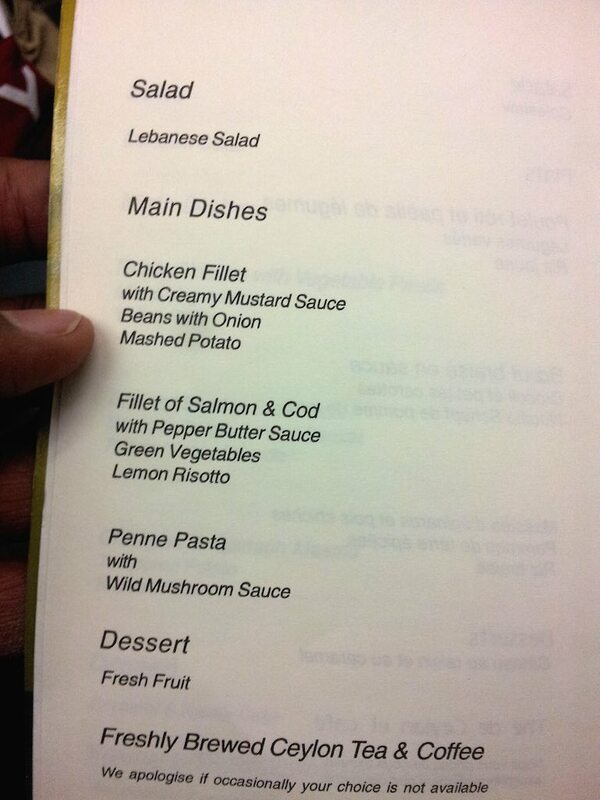 But on the way back it would be a Lebanese salad, then for the main dish Chicken Filet with Creamy Mustard Sauce, Beans with Onion and Mashed Potato. Or I could have the Filet of Salmon & Cod with Pepper Butter sauce with green vegetables and a lemon Risotto. and if I hated any of those two and how could I, there was the penne Pasta with Wild Mushroom sauce. A little bit of everything for everyone. For Dessert, there would be Fresh fruit, followed by Freshly brewed Ceylon Tea & Coffee. I did notice that the menu showed a soursop green tea which was available on request, so I’ll be sure and request it when its time. On the Bar front, there’s the usual suspects but Kailua instead of Baileys though. There was also EGB, which is a local ginger Beer for which Sri Lanka is famous. Speaking of Bar, here comes the drink cart with full sized bottles of alcohol hanging off. I had some water and white wine. Drinks were followed by the meal which was quite a delight; I had the Roast Chicken. I did also try the soursop tea which was good although the soursop taste was a bit distant :). Just so you know, soursop is not really sour :-). 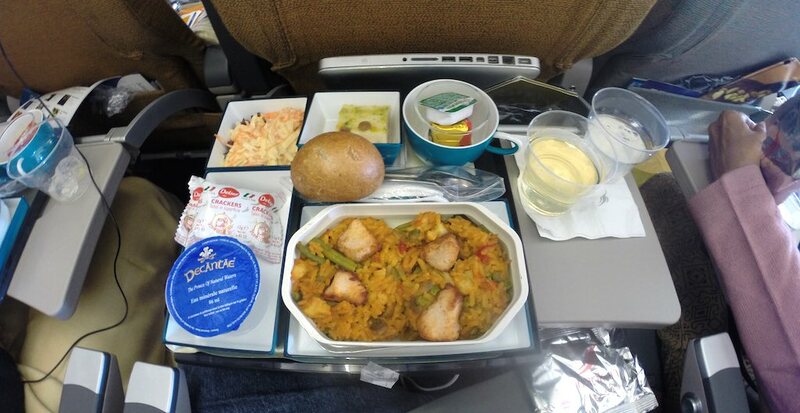 The good thing about sitting closer to the front of the plane is that the chances of getting your choice of meal are much higher! As I had dinner, I played around with the entertainment system which is touch screen; I also had a USB port for my phone, which could also charge my GoPro camera. I don’t know when I fell asleep, but I think I was asleep for about five hours. I awoke, waited for a bit and eventually the couple on the left got up and I went for a walk and a much needed toilet break. 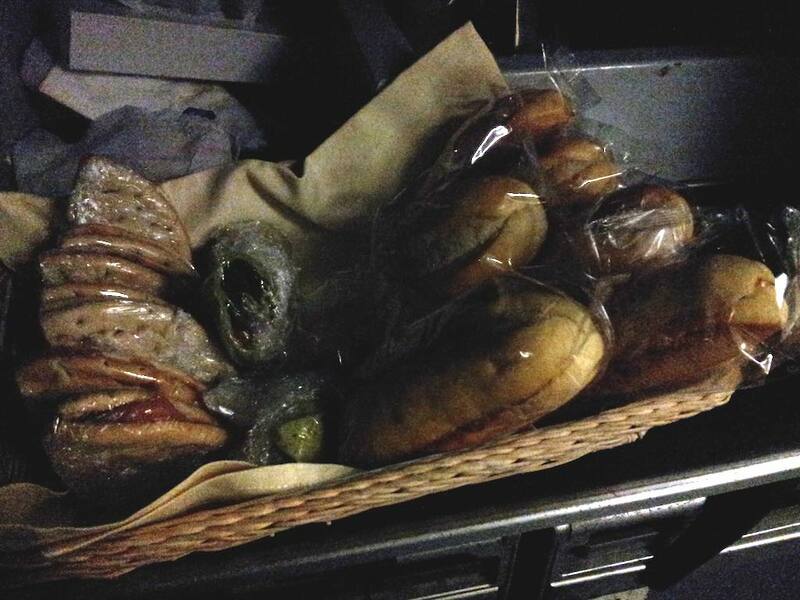 I found out that there were sandwiches in the rear galley so I grabbed a few as well as some water and headed back to my seat. Most airlines do have these in-flight snacks. They sometimes don’t announce it, but its either noted in the menu or you see it when you wander around. I always love seeing the cabin at night and watching what others are doing. As humans were are quite interesting. Some people read, watch the movies and many watch the Map of where we are and where we’re going. I must admit that is my favorite channel. What’s yours? I started watching some TV on the AVOD (Audio/Video On Demand) system, can’t remember what was on as I had so many choices. 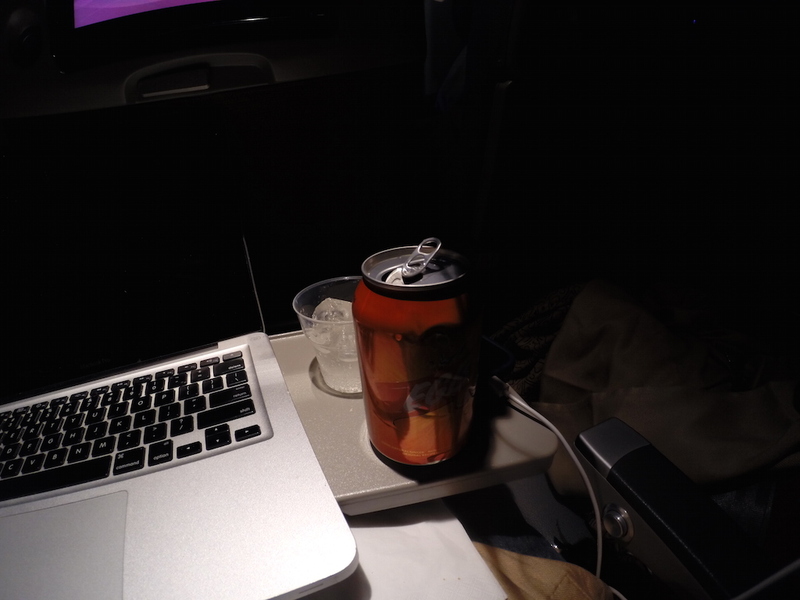 But eventually I stopped one of the flight attendants walking by and got some EGB, which is the local Ginger Beer. This stuff is really good and if you ever feel ill to the stomach, it will work wonders for you. Soon, it was time for breakfast. The lights came on, people awoke and it was time to eat. Here’s a photo of what we had to eat. 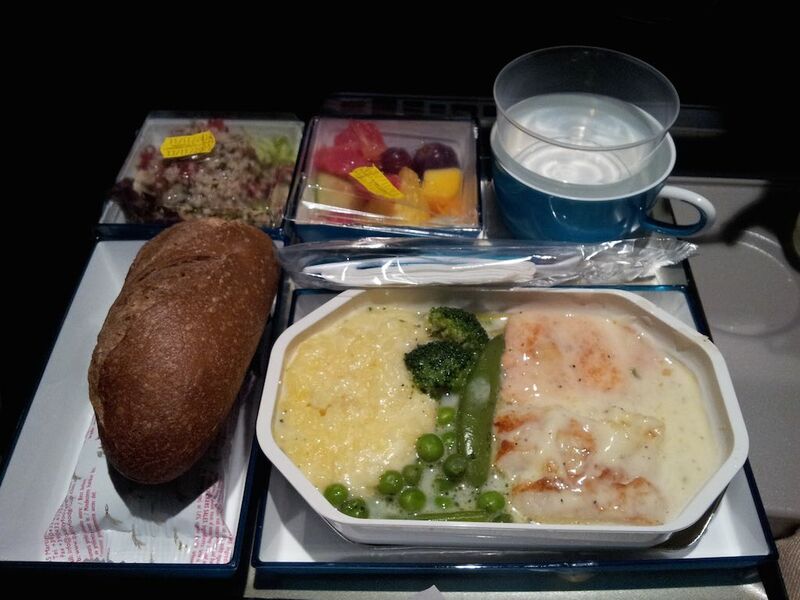 Airline meal times are always interesting. As much as they can, they try to get our circadian rhythms back in line, so they try to give you a meal that you’d be eating in your arrival city. Regardless of the fact that you’d be having dinner back home :-); its tough. The service was followed by tea; I had the Ceylon, which was fine. Then it was clean up time and people rushing for the toilets. 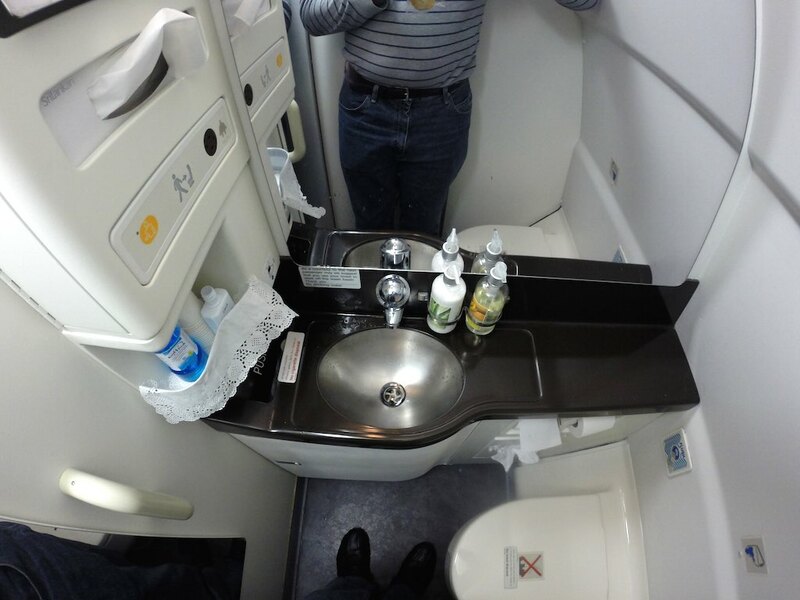 Its the same on every flight. The lady to my right never budged though and still never said a word and I know she knows English as the she did speak to the crew in English. She had actually gotten up during the flight maybe once or twice but I was too groggy from sleeping to seize the opportunity to get up as well. As we prepared for the scheduled 5:21a (Nov. 13 2014) landing, the Purser asked for the headsets and blankets; what? I was still a bit sleepy and a bit cold so I asked the flight attendant if I could keep my blanket and he said yes. I had to give up the headsets though :-(. I understand why they do that, but I think its not necessary. 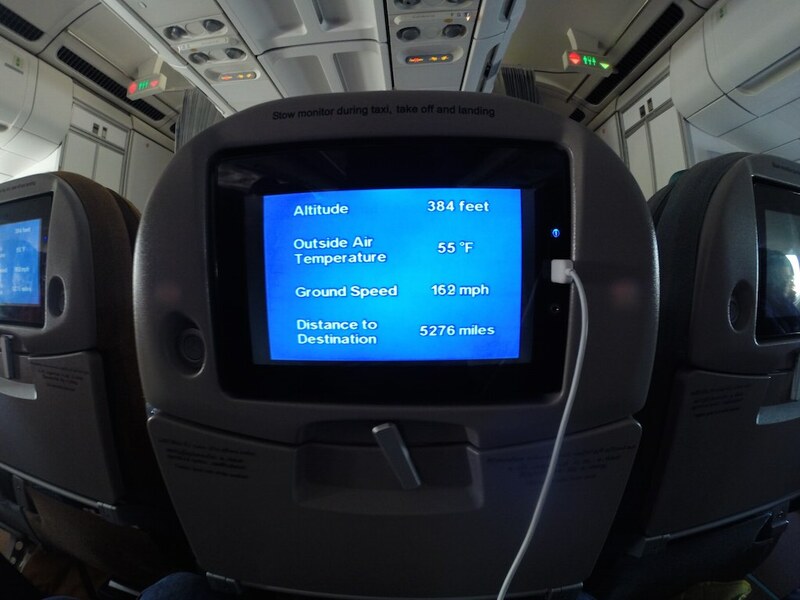 Besides, the entertainment system is still playing and you know its always the best part of the movie that comes on landing :-). Oh, I started reading this code of conduct brochure since there was not much else to do at this moment. I think all airlines need one and it should be mandatory that all passengers read it :-). BTW, SriLankan, I love the graphics used. We landed smoothly (always amazing and thankful) and taxied to the gate by 5:12a arriving early. I bade my goodbyes and said thank you to the crew and exited re-joining my friends at the Immigration Area/Baggage Claim Area. All in all, it was a good flight and despite my middle seat, I enjoyed it. When I fly standby, I’m usually in a middle seat anyways, so this was fine. Have you flown Sri Lankan? How was your experience? Please leave a comment below. 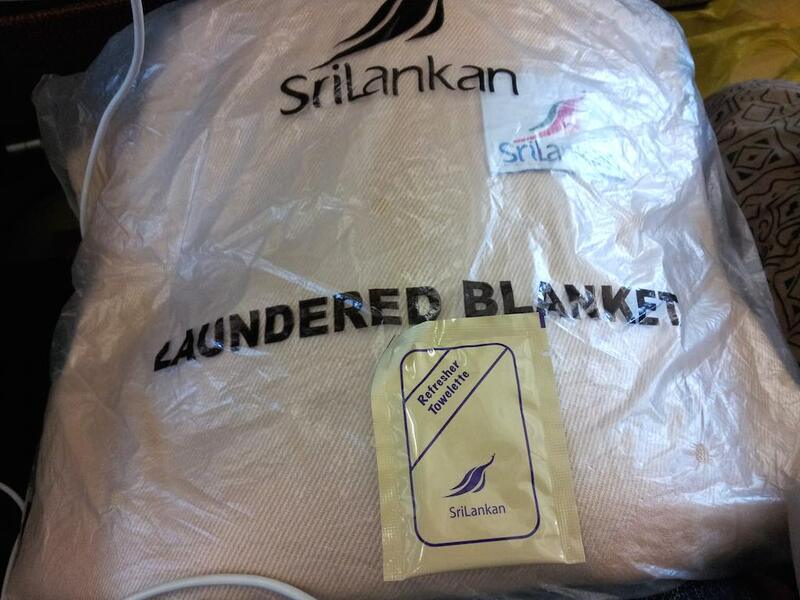 Note: This flight was compliments of SriLankan Airlines. As always, the views expressed as you can see are my own. ul 868[2016.06.04] good staff. ul 869[2016.06.25] bad staff. I flew SriLankan Airlines on 23rd April Mumbai-Colombo and then Colombo-Dubai. for bom-cmb it was an older A320 but the legroom is amazing in comparison to the Indian A320s I’ve flown with in the past. My cmb-dxb sector was suprb, had a refurbished A330 cabin with AVOD in economy as well but not these light weight seats which you had.. It was one of the most amazing flights I have had! I have to say the crew are one of the friendliest I have seen and spoken to. Service, food is amazing! I’m looking forward to flying this airline again. nice review. 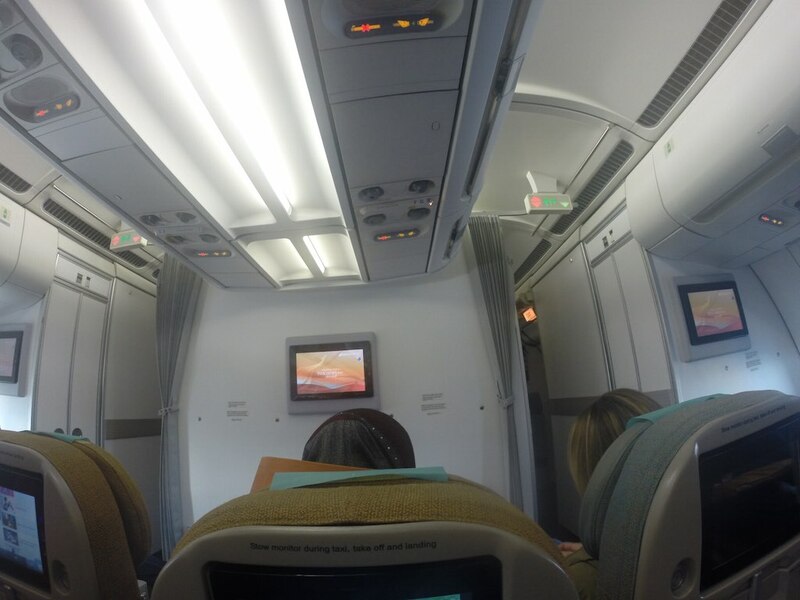 I joined a Sri Lanka air flight (Then Airlanka) from bangkok to colombo and was very pleasantly surprised at the high level of inflight services offered on that short leg (aprox 3.30hrs). Air crew were some of the friendliest I have come across and The amount of food and beverage served were way too much (in a very nice way). 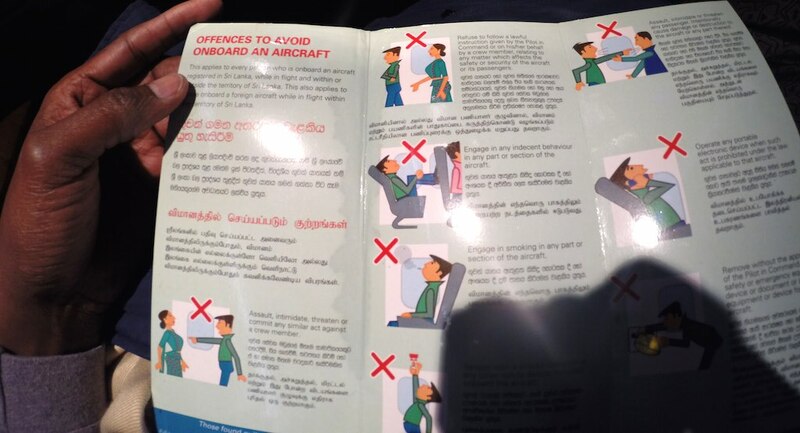 I only wished airlines in New Zealand and Australia (where I am from) could perhaps take a few tips from Air lanka. Thanks for this lovely review with picture. Brought back lovely memories again. You are welcome. Glad you enjoyed the review. They still fly that route today. I flew it from Colombo To Bangkok to Hong Kong and it was fine as well. Great service for the short flight indeed. The review is forthcoming :-). I was starving on the flight back though – I wish I had known about the sandwiches! I thought about it long and hard. But it would have been terrible sitting next to his wife, as I know she’d give me the angry look the whole flight and that would have totally sucked! Oh yeah, on long flights always go back in the galley as they’ll have some sort of munchies :-). In terms of the two TVs, yup, that’s what I do as well when I have an empty seat :-). I’ll be flying Sri Lankan for the first time early next year so I look forward to trying them out. There service is good so I think you’ll have a blast. ul868[2016.06.04] staff good. ul869[2016.06.25] staff bad.